Built in 2011, the Terrace Bay Lighthouse stands as a 50 ft. replica of the lighthouse on the Slate Islands Provincial Park. The lighthouse on the Slates is currently the highest elevated lighthouse on the Great Lakes, at 224 ft. above sea level, and is the sister lighthouse to the one on Otter Island. 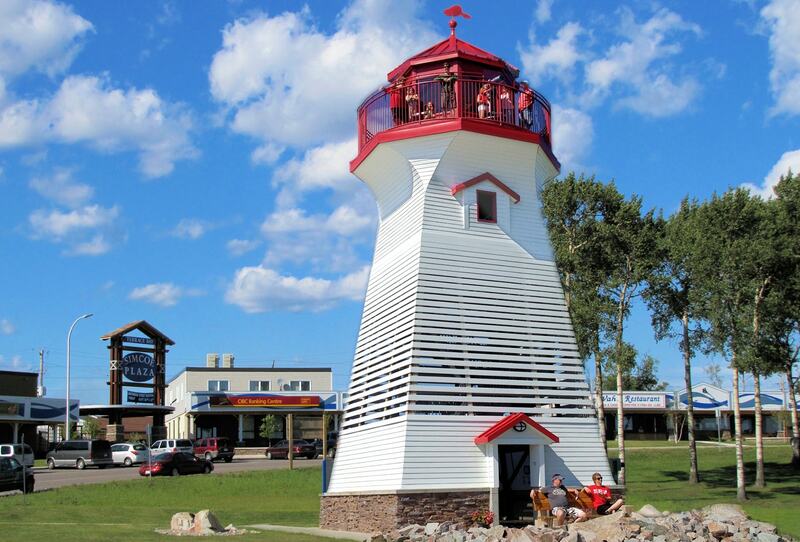 The town built this lighthouse as a symbol to its long-standing connection with the Slate Islands and the beautiful Woodland Caribou that reside on it. From May to October, visitors can freely climb to the top and access the observation platform which features a breathtaking view of Lake Superior, the enchanting Slate Islands and the surrounding area. Come off the road, relax and take in the view—you won’t find a prettier town on the north shore of Lake Superior! Take the Caribou Spotting Challenge! On a clear day, and with a bit of luck, try to spot a caribou roaming the islands. So far, the record has been two caribou spotted at once—let us know if you’ve come close on Facebook!